A THREE CAR GARAGE, WHOLE HOUSE GENERATOR, and an AWESOME MASTER SUITE are available in this Beautiful home. In addition to the 3 bedrooms, there are TWO BONUS rooms that are perfect for a home office, hobby room, or overflow sleeping. The chef in the family will love the gas range, granite countertops, and 52 inch raised panel cabinets. You will be impressed by the details of this Custom Built Home the minute you walk through the front door. The open and spacious floor plan features crown molding, tray ceilings,whole home speaker system and a fireplace. The transoms windows, rarely found in this area, fill the rooms with natural light while the screened lanai overlooks a gorgeous private backyard. The master suite has a sitting area, his and her closets, separate shower and bath,and double vanities. The yard is fully landscaped and irrigated. There is a geo thermal heating and cooling system system with 3 individual climate zones and 2 hot water heaters. All three garages are full size with utility sinks. 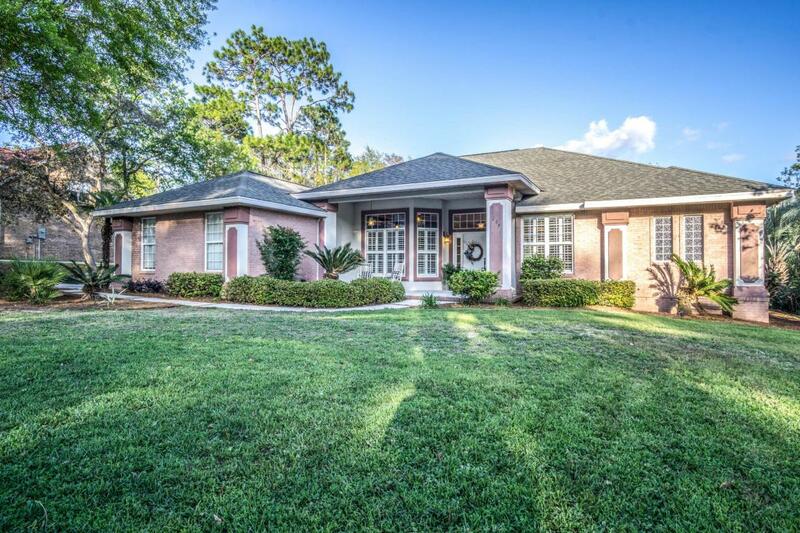 Located in South Crestview, this home is close to Eglin, Duke Field, and the beautiful beaches of the Gulf of Mexico.